Welcome to Peyrelade, your camping in the gorges of Tarn! In its green setting at the entrance of the gorges of Tarn, the camping of Peyrelade is waiting for you for a stay in a grandiose environment. Located at an altitude of 350m, at the foot of the castle of Peyrelade (12th century), the camping extends over 4 hectares along the Tarn. Its 300 m long pebble beach is one of the most beautiful in the area. You can practice swimming, fishing, canoeing there. If you raise your head you are on the cliffs of the Causse Noir, in the regional natural park of the Grands Causses and you have a strong chance to see the majestic flight of one of the many pairs of griffon vultures that nest on the rocky walls! In this secure environment, everything has been provided for your comfort and that of your loved ones: different services, several activities during the summer, facilities for children throughout the 4-star camping. The gorges of the Tarn are a family destination as well! The team of camping makes every effort to book you a nice welcome and stays tuned to you throughout your stay. Peyrelade, your camping in the gorges of the Tarn, has been registered for more than 20 years in a voluntary process of quality control recognized by the public authorities under the brand "quality tourism" and is audited regularly to guarantee you a better quality always. Peyrelade, 4 star camping in the gorges of the Tarn, was created in 1974 on an agricultural land and several trees were planted at that time to delimit the plots and to ensure the shading. Sun, rushing water…Nature in its pure state ! 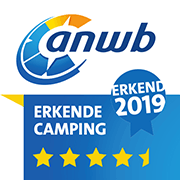 The camping team is actively preparing the 2019 season. Everything will be ready from the opening on May 15th to welcome you!